Are you passionate and successful in cultivating corporate partnerships for unique opportunities? Across Science Museum Group, we are undergoing major transformation. 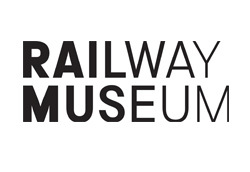 Our ambitious, GBP 50-million, ‘Masterplan’ at the National Railway Museum (NRM) will set a new trajectory for our collections, interpretation, visitor experience and cultural investment in the wider ‘York Central Project’. Supporting our commitment to this capital redevelopment, we are looking for a talented Senior Development Manager (Corporate Fundraising) to join us in York, on a permanent basis. Joining us, you will have an extensive track record of corporate fundraising, business development and account management. Utilising your passionate interpersonal and persuasive communication skills, you will have demonstrable experience in securing 5,6 or 7 figure partnerships through the creation of novel and unique opportunities. You will receive a range of excellent benefits, including 27 days annual leave in addition to bank holidays, a contributory pension scheme, BUPA medical and dental insurance, an annual season ticket loan and numerous staff discounts whilst developing your career in a world class museum group. Please visit the website to download the Vacancy Information Pack.